The folks at New District asked us to put together a quarterly wine pack to offer to their customers. Our second selection, now on offer, is a choice of six wines made under the direction of Italian winemaker/consultant Alberto Antonini. Alberto's work takes him around the world including here in British Columbia where he works closely with Okanagan Crush Pad's Haywire Winery and some of its clients. 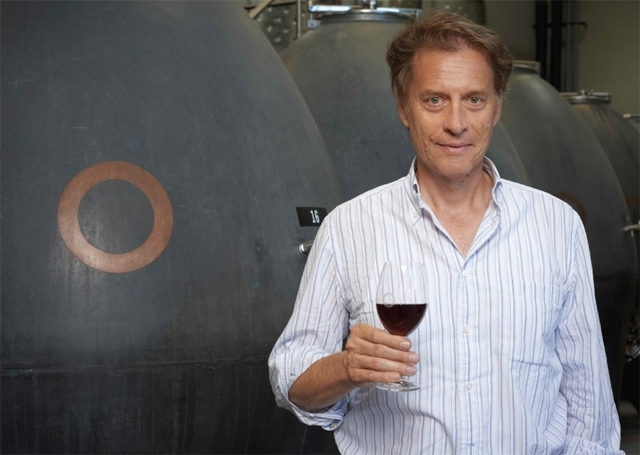 In his last visit to Vancouver, we interviewed Alberto about his latest project and his intriguing philosophy on wine making, namely, that less is always more. In the video segment below, an excerpt from the video of the entire interview, he explains exactly what he means. Read more about the pack and how to purchase it here: NewDistrict.ca - Antonini Selection. For the full interview and the related article and tasting notes click here: Gigantic undertaking: Bodega Garzon.